LAGIMONIÈRE (Lagimodière, Lajimonière, Lavimaudier, Lavimodière), JEAN-BAPTISTE, fur trader and farmer; b. 25 Dec. 1778 probably in Saint-Antoine-sur-Richelieu, Que., son of Jean-Baptiste Lagimonière, a farmer, and Marie-Joseph (Josephte) Jarret, dit Beauregard; d. 7 Sept. 1855 in St Boniface (Man.). Jean-Baptiste Lagimonière lived in Saint-Antoine-sur-Richelieu, and then at Maskinongé where his father had settled in 1790. Around 1800 he went into the fur trade in the northwest as a voyageur. He spent several years in the territory to the west of Grand Portage (near Grand Portage, Minn.), probably in the employ of the North West Company. It is believed that he married an Indian woman à la façon du pays, and that they had three daughters. Lagimonière was back with his family in Maskinongé in 1805. There he met Marie-Anne Gaboury*, and they were married on 21 April 1806. Shortly after, he was again seized by the urge to travel, and set off with his new wife for the northwest. They reached Fort Daer (Pembina, N.Dak.) towards the end of August and spent the winter there; on 6 Jan. 1807 Marie-Anne gave birth to their first child, a girl they named Reine. In the spring the Lagimonières moved from Fort Daer to Fort Augustus (Edmonton) along with three French Canadians and their families. They lived in this area, where the Hudson’s Bay Company and the NWC each maintained a trading-post, for four years. 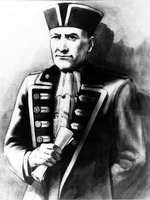 With his family, Lagimonière took part in numerous expeditions hunting buffalo and beaver, leading the life of a true “free man.” He and others kept the French Canadian and British fur traders supplied with meat, in addition to providing furs that were properly prepared, thanks to a knowledge of trading standards not possessed by the Indians. In 1811 the Lagimonière family set off for the forks of the Red and Assiniboine rivers, after learning that Lord Selkirk [Douglas*], a Scot and a shareholder of the HBC, planned to establish a farming settlement there. They spent the winter at Fort Daer, and in the spring of 1812 went to make a permanent home in the Red River colony (Man.). Lagimonière, however, continued to live a hunter’s life, and between 1812 and 1815 was hired several times by Miles Macdonell*, the colony’s governor, to supply the settlers with food. He spent the winters with his family on the Assiniboine, near Portage la Prairie. During these years, the intense rivalry between the HBC and the NWC, which were both seeking to control the fur trade, led to violent clashes at Red River and to the eviction of the settlers on the impetus of the NWC in June 1815 [see Archibald McDonald]. 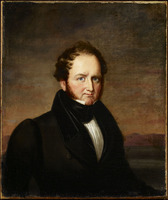 After the settlers returned in August 1815, Colin Robertson*, the HBC agent in the colony, hired Lagimonière to carry dispatches to Lord Selkirk, who was in Montreal. On 17 Oct. 1815, accompanied by Bénoni Marier, an employee of the company, and by an Indian guide, he left the colony on foot. Venturing on a route mainly through NWC territory to the south of Lake Superior, he then proceeded by way of Sault Ste Marie (Ont.) and York (Toronto). 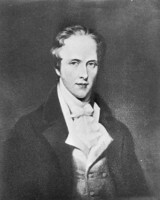 On 10 March 1816, at the end of his 1,800-mile journey, he handed the dispatches over to Lord Selkirk. Armed with Selkirk’s replies, he set out on the same route at the end of March. But this time the NWC principals were determined not to let him get through, and during the night of 16 June 1816 Lagimonière and his companions were seized near Fond du Lac (Superior, Wis.) by Indians acting on the orders of one of the partners, Archibald Norman McLeod. They were stripped of their personal belongings and Selkirk’s dispatches, escorted to Fort William (Thunder Bay, Ont. ), and then released. Without provisions or the means to subsist, Lagimonière and his companions pushed on towards Red River. At the beginning of July they received help from Pierre-Paul Lacroix, who found them on a bank of the Rainy River to the west of Fort Frances (Ont.). Lagimonière then went to Red River, which he probably reached during the summer of 1816. After this exploit, Lagimonière served as messenger for the HBC on many occasions, as did his sons. He also began to farm some land that Selkirk is said to have granted him for his services. It was on this land, which was at the mouth of the Seine River, that he built a home where he brought up his family of four girls and four boys. 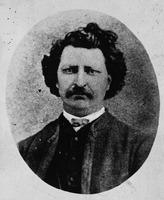 In 1844 his daughter Julie married a neighbour, Louis Riel*, and later that year gave birth to a son, Louis*, who was to become the principal leader of the Métis during the events surrounding the entry of Manitoba into confederation. In the 1830s and 1840s Lagimonière, with the help of his four sons, was one of the most prosperous farmers in the Red River settlement. 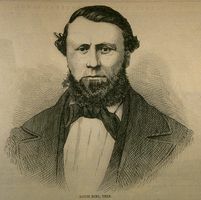 He continued to engage in the fur trade, and with other settlers such as Cuthbert Grant and Louis Guiboche was also active in the carrying trade. Jean-Baptiste Lagimonière’s journey to Montreal in 1815–16 made him a celebrity, but he also deserves note as one of the first French Canadians to settle permanently in the northwest. ANQ-MBF, CE1-10, 21 avril 1806. AP, Immaculée-Conception (Saint-Ours), reg. des baptêmes, mariages et sépultures, 26 déc. 1778; Saint-Antoine (Saint-Antoine-sur-Richelieu), reg. des baptêmes, mariages et sépultures, 5 févr. 1776. Arch. de la Soc. hist. de Saint-Boniface (Saint-Boniface, Man. ), Dossier Picton; Fonds Champagne. PAC, MG 25, 62. PAM, HBCA, E.5/1–6; E.6/10–11; E.8/6; MG 2, A1; MG 3, D1; MG 7, D8; MG 8, C1. HBRS, 2 (Rich and Fleming). New light on early hist. of greater northwest (Coues), vol.2. Georges Dugas, La première Canadienne du Nord-Ouest ou la biographie de Marie-Anne Gaboury . . . (Montréal, 1883). 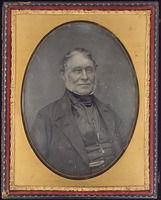 Robert Gosman, The Riel and Lagimodière families in Métis society, 1840–1860 (Can., National Hist. Parks and Sites Branch, Manuscript report, no.171, Ottawa, 1977). A. E. S. Martin, The Hudson’s Bay Company’s land tenures and the occupation of Assiniboia by Lord Selkirk’s settlers, with a list of grantees under the earl and the company (London, 1898). A.-G. Morice, Histoire de l’Église catholique dans l’Ouest canadien, du lac Supérieur au Pacifique (1659–1905) (3v., Winnipeg et Montréal, 1912). Petite histoire du voyageur, Antoine Champagne, édit. ([Saint-Boniface], 1971). Lynne Champagne, “LAGIMONIÈRE, JEAN-BAPTISTE,” in Dictionary of Canadian Biography, vol. 8, University of Toronto/Université Laval, 2003–, accessed April 20, 2019, http://www.biographi.ca/en/bio/lagimoniere_jean_baptiste_8E.html.